The registration is now opened. March 5, 2019: Detailed information on sponsor and exhibitor opportunities is now available for download as PDF . October 17., 2018: The miCROPe 2019 Site is now online. If you are interested in receiving updates about this conference please subscribe for our newsletter. Our awareness on the importance of naturally occurring microorganisms, frequently referred as to microbiomes, has increased substantially. Plant microbiota are diverse and provide important functions for their host’s performance, and mediate functions like nutrient delivery, fitness, stress tolerance, and pathogen or pest control. Current understanding of plant-microbe interactions is helping to develop microbial products, new applications to improve crop production, and create alternatives to chemicals. Microbial ecology is an important asset for understanding the fate of applied microorganisms in a natural environment, and for affecting product development. Greater understanding of microbiome functioning will also lead to new routes of exploration. The increasing awareness of and interest in plant microbiota is linked to the urgent need to find solutions for current challenges in global crop production such as climate change and global demographic development. Difficulties to be overcome include world-wide population increases, extreme weather events and highly variable weather conditions, emerging pathogens and pests, and diminishing land resources. Furthermore, the use of chemical pesticides pose a threat to human health, animal welfare, and biodiversity. Innovations based on the functioning of plant microbiota have the potential to contribute to combating these challenges. 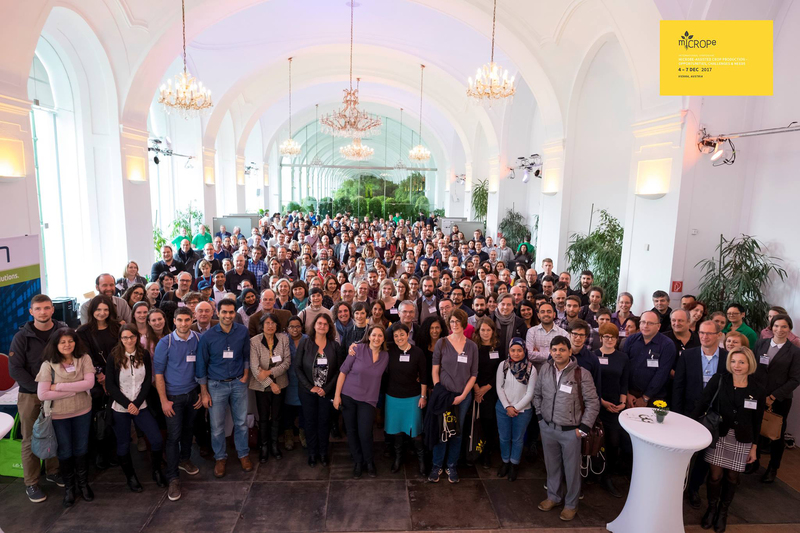 Looking forward to meeting you in Vienna at the miCROPe 2019! Visit the Website of the Micrope2017 Symposium. Visit the Website of the Micrope2015 Symposium.